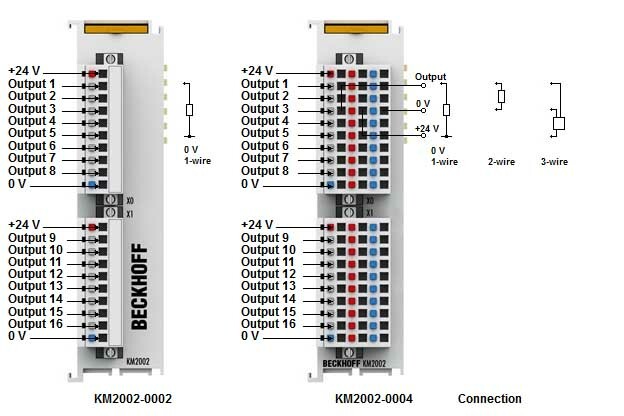 The terminal module KM2002 combines 16 digital outputs with eight channels per plug connector in a compact design with high packing density. The binary control signals are transferred (electrically isolated) to the actuators at the process level. Like the standard Bus Terminals, the terminal modules are integrated in the I/O system. Plug connectors with spring connections enable plug-in wiring and are available with 1 or 3 pins. LEDs integrated in the connector indicate the signal state for each channel directly at the wire.